3. 미리 등록된 제품항목을 기반으로 편리한 견적 작성. 쉽게 자신의 구글앱스 메일 계정을 생성하는 프로젝트 입니다. - KDI (한국개발연구원국제정책대학원대학교) 는 구글앱스 Education 을 사용하는 대학교로 학생들에게 구글앱스 메일 계정을 자동으로 발급하는 시스템이 필요. 구글 스프레드시트 일정 관리 스크립트는 회사의 특정 일정을 구글 스프레드시트에 정리해서 이를 특정 캘린더(세미나, 교육 , Workshop 캘린더, 부서별 회식 등등 캘린더)와 동기화 하여 캘린더를 열지 않고도 편리하게 일정을 관리하는 스크립트 입니다. 저희 SBC도 정기교육과 분기별 세미나를 이 스크립트를 통해 편리하게 관리할 수 있게 되었습니다. 동영상 파일에서 자세한 실행방법의 DEMO를 보실 수 있습니다. 구글앱스 스크립트를 이용한 웹서비스 사용방법. 이 웹서비스를 통해 외부에서 보안된 환경으로 구글앱스의 드라이브에 문서를 생성, 삭제, 수정 그리고 템플릿을 통해 멋진 구글 문서를 만들수 있습니다. This is a webservice built on top of Google Apps Script. This webservice hides the complex oAuth 2.0 using and then authenticates using a 32 character private key. It allows to create Google Documents in Google Drive based on Google Document Templates. Templates contain placeholders like %NAME%, %ADDRESS% which are then replaced by the values posted through web service. 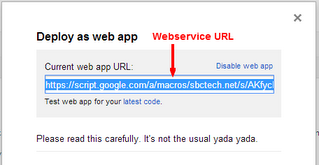 Here are the steps to deploy webservice in Google Apps user account. Project Version : write anything and Save a new version, after this deploy button will be activated. 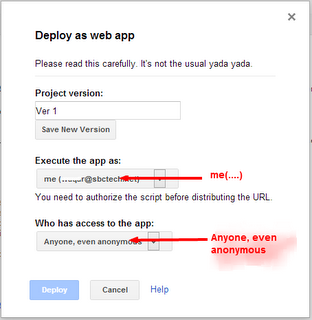 Once you have deployed, Go to Publish > Deploy as webapp, Now note down the current webapp URL. This will be the webservice url. To get the authKey, Go Run > initiate, Once the script execution is finished, Go to View > Logs, There, you can find the auth Key. User can call the webservice by making a post request to the webservice url with following details. Highlighted part is the webservice URL. (Get webservice Url). templateId string ID of the Google Document Template having placeholders like %KEY1%,%KEY2%, %KEY3% etc. placeholders array Array of Objects having key, value for placeholders. This array can be of any size. value string Value of the placeholder which will go in new document to be created. 구글앱스환경내에서 사용할 수 있는 API 함수들 입니다. 문서, 메일, 금융, 지도, UI Service도 제공되고 있습니다. 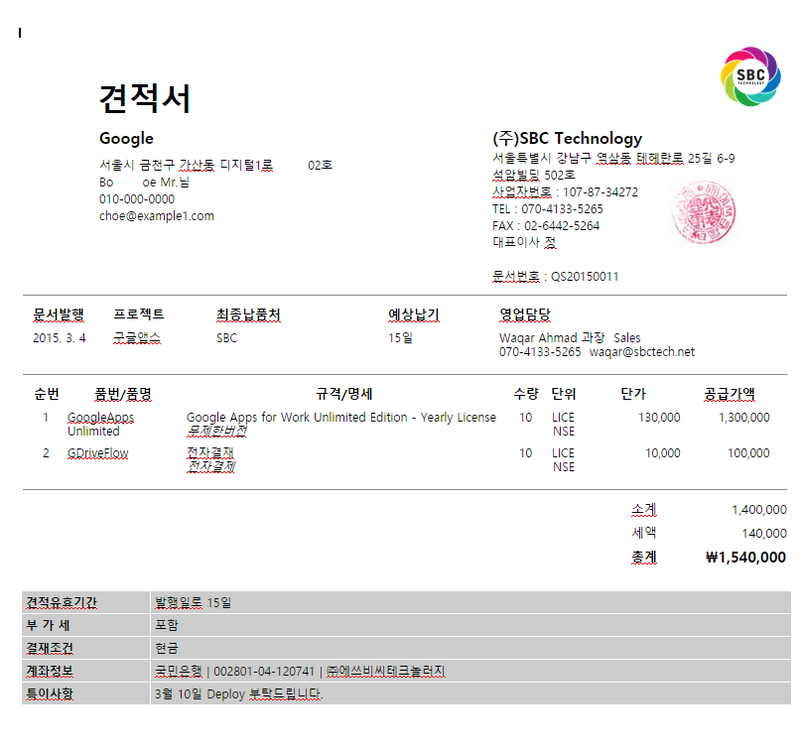 Google Apps Scripts 는 직접 스크립트를 만든 사람뿐 아니라, 인증을 받아 다른사람들도 스크립트를 사용할 수 있습니다. 또한 사이트에서 스프레드시트에서 Standalone 으로 사용이 가능하며, 트리거를 사용하여 정해진 시간과 인터벌간격으로 스크립트를 실행하여 업무 자동화를 보다 쉽게 실현할 수 있도록 합니다. 가장 기본적으로 Apps Scripts를 시작하는 단계는 각기 사이트, 스프레드시트에서 제공된 메뉴상에 있는 스크립트 에디터에 Apps Scripts를 만들고 실행하도록 되어 있습니다. 스프레드시트에서 Tool->Script editor 로 이동하면 웹에디터 화면에서 스크립트를 작성할 수 있습니다. 사이트에서는 사이트관리 페이지에서, Apps Scripts를 클릭하면, 새로운 스크립트를 작성할 수 있도록 되어 있습니다. 양식과, 트리거를 동시에 사용하는 구글앱스 스크립트 활용사례 입니다. 여기를 참조해주세요. 공식 앱스 스크립트 사이트 입니다. 구글앱스 스크립트 활용에 대한 새로운 비디오가 소개되었습니다. 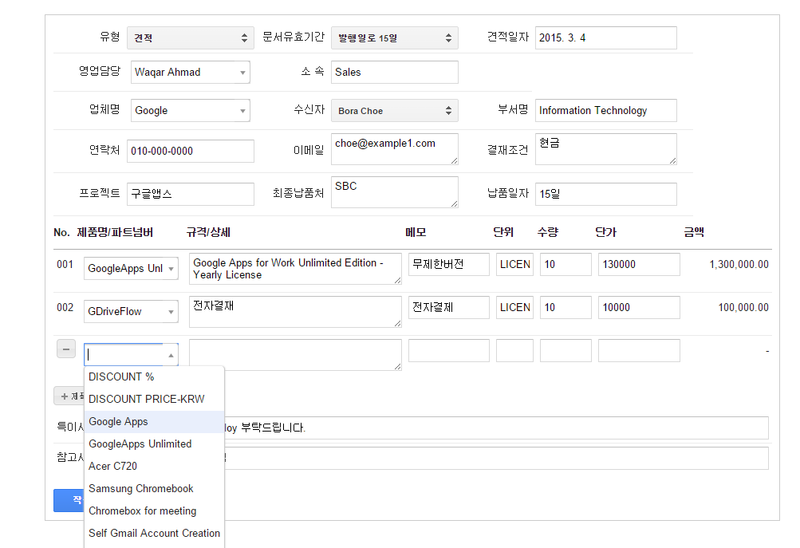 해당 내용은 회사의 사이트 통계분석(Google Analytics)를 적용한 데이터를 Google Apps Script 를 통해 코딩없이 간단히 Google Apps Spreadsheet 와 Google Apps Sites에 추가하는 방법을 소개한 내용입니다. 특별한 기술없이도 단순히 비디오데로 따라하기만 하면 자신만의 커스터마이즈된 분석 데이터를 활용할 수 있습니다. 사전작업으로는 먼저 Google Analytics에 가입해 회사의 사이트 통계자료가 쌓여 있어야 정확한 자료를 확인할 수 있습니다. 아래는 저희가 직접 적용한 내용을 이미지로 캡쳐한 내용입니다. 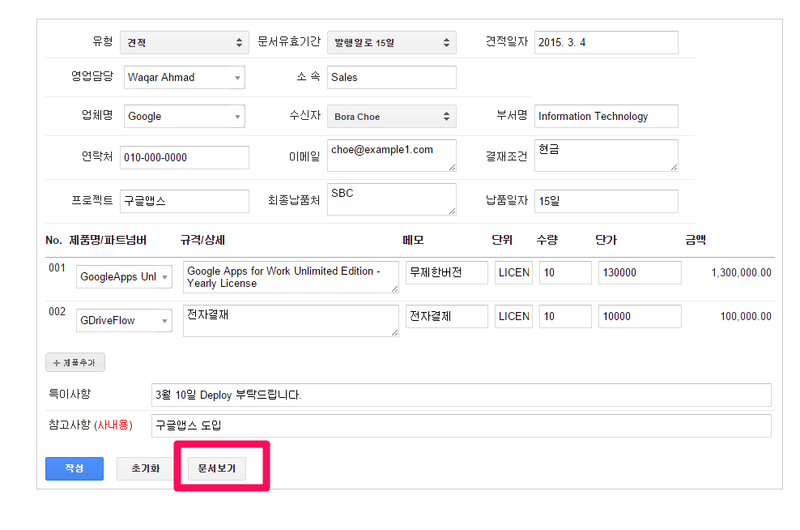 [그림1] Script Gallery로 부터 "Google Analytics Report Automation(magic)"을 인스톨 합니다. [그림2] 아래의 그림과 같이 Create Core Report 를 누른 후 환경설정 값을 입력합니다. [그림3] Report로 보고자 하는 값을 아래와 같이 셋팅합니다. [그림4] Script Editor 를 실행했을때의 화면 입니다. 이곳에서 Analytics API 서비스 실행과 key 값을 얻어올 수 있습니다. [그림5] Get Data를 실행후 google Analytics로 부터 가져온 데이터를 바탕으로 chart 크래프를 추가한 화면 입니다. [그림6] Report2 통계를 가져와 Table Chart 를 추가한 내용입니다. [그림7] 구글사이트에 만들어진 chart를 추가한 화면 입니다. 자유롭게 테스트 해보시고 기능관련 의견 sbc.support@sbctech.net 으로 주시면 감사하겠습니다.